An Iraqi armored brigade is trading its American M1A1 Abrams tanks for the Russian T-90S main battle tank — possibly for geopolitical reasons. The swap comes after U.S. officials complained that Abrams tanks ended up in the hands of Iranian-backed militias, and may be an avenue through which Russia is attempting to gain more influence in the region. "I think the move was at least partly motivated by smoothing over that issue,” said James Phillips, a senior research fellow for Middle Eastern affairs at the Heritage Foundation. “But also it was a pointed reminder that the [United States] does not have a monopoly on tanks, and that Iraq can get them from Russia, as well,” he added. “This diminishes U.S. leverage and increases Baghdad’s options in the future." The deal began earlier this year, when Russian state media reported that the first delivery of roughly 35 Russian tanks had arrived in February, and another batch of more than 30 additional tanks would arrive in late April. That second delivery appeared to be confirmed last week, when the Iraqi Ministry of Defense posted an Arabic-language video showcasing the new T-90S tanks. Iraqi Chief of General Staff Osman Ganimi said the contract for the tanks would help with “increasing combat capacity of armored troops,” according to Russian state media. Iraqi military officials announced the tanks are going to two battalions within the 9th Armored Division, 35th Mechanized Brigade, according to a translation of the video by Military Times staff. The remaining Abrams tanks were redistributed over the 34th Armored Brigade, also within the same division. The deal was initiated at a time when as many as nine M1A1 Abrams tanks fell into the hands of Iranian-backed militias, known as the Popular Mobilization Forces, or PMF, which are primarily Shiite units connected to Iran but permitted to fight by the Iraqi government. Eric Pahon, a Pentagon spokesman, told Military Times in February that the U.S. military does not provided defense equipment to the PMF. U.S.-issued military equipment, to include as many as nine M1A1 Abrams tanks, fell into the hands of Iranian-backed militias during the turbulent period that swept Iraq as it battled the Islamic State, the Pentagon confirmed Wednesday. “However, we have discovered incidents where some U.S.-origin equipment, including M1 Abrams tanks, came into the possession of certain PMF groups,” Pahon said. Although Pahon added that the equipment was used to fight Islamic State militants, there have been reports that Abrams tanks helped crush Kurdish separatists in Kirkuk, Iraq, in October. ”All of these tanks were recently returned to Iraqi Security Forces custody,” Pahon said. 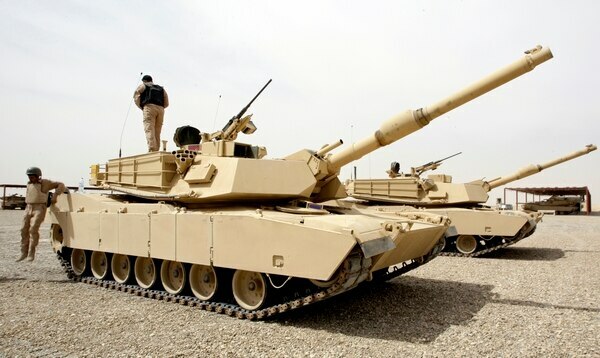 Regardless, the alleged use of the Abrams by Iranian-backed militias has caused some speculation that General Dynamics would pull its contract to maintain the tanks. If that were to happen, the existing Abrams fleet could fall into disrepair. Moving to a Russian procurement process with the T-90 tanks would circumvent that point of friction. Iraqi officials said that Russian experts on the tanks had retrained officers and armored crews from the 35th Mechanized Brigade on the new equipment. The press release did not say whether the individuals helping with retraining were Russian military officials or industry contractors. 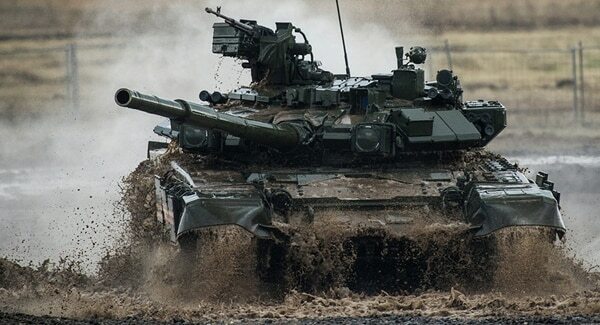 The T-90S is produced by UralVagonZavod — one of the largest main battle tank manufacturers in the world. The T-90 tanks are an outgrowth of the Soviet-era T-72s, variants of which were widely used by the Iraqi Ba'athist Army prior to the fall of dictator Saddam Hussein. The T-90S is outfitted with a 125 mm smoothbore tank gun, with a rate of fire of seven rounds per minute. The tank also has a 12.7 mm remote-controlled anti-aircraft heavy machine gun and can reach top speeds of nearly 40 miles per hour. The T-90 tank is reportedly sought after by armed forces across the world looking to build modern armored units with advances like explosive reactive armor — which helps defeat increasingly common high explosive anti-tank warheads — as well as electronic countermeasure suites and heavier weapons systems.